Opera is an important part of classical music tradition in the West. The art form that is a combination of libretto (text) and musical score typically also involves theatrical elements such as costumes, acting and sometimes even dance. Opera is typically performed in an opera house and is accompanied by an orchestra or music ensemble. Opera originates in the 16th century Italy. The first known opera work that meets the modern standards of the art form is Dafne by Jacopo Peri that was performed in Florence in 1598. From Italy, it spread throughout Europe. In Germany, it was introduced by Heinrich Schütz, in France by Jean-Baptiste Lully and in England by Henry Purcell. 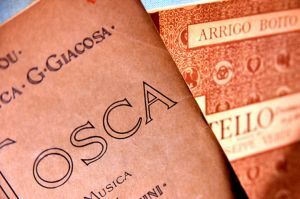 By early 18th century, many composers focused on more elevated form of opera – opera seria (“serious opera”) that would dominate most of Europe by the end of the century. The most famous operas of the 18th century – The Magic Flute, The Marriage of Figaro and Don Giovanni by Wolfgang Amadeus Mozart, however, were comic rather than “serious” operas. The early 19th century saw introduction of the bel canto opera by Gioachino Rossini and Vincenzo Bellini whose works are still widely performed. In the second half of the 19th century, opera reached its golden age which was dominated by Giuseppe Verdi and then Giacomo Puccini in Italy, and Richard Wagner and then Richard Strauss in Germany. Just like opera, ballet developed in Italy. And just like opera, ballet is an important part of Western classical music tradition. Ballet as a dance work that consists of choreography and music has several styles which are in the first place associated with geographic origin. Thus we know Italian ballet, Russian ballet and French ballet, all of which are subtypes of the so-called classical ballet. Ballet dance works that were created by 20th and 21st century composers are typically referred to as contemporary ballet which typically includes elements of both classical ballet and modern dance. Some authors also distinguish a third style, known as neoclassical ballet that followed the classical and preceded contemporary ballet. But the best known and most widely performed is the so-called Romantic ballet that was influenced by the Romantic artistic and literary movement in the 19th century. Some of the most famous ballet dance works that are still widely performed include Tchaikovsky’s Swan Lake, The Sleeping Beauty and The Nutcracker, Prokofiev’s Cinderella and Romeo and Juliet, Stravinsky’s The Rite of Spring, Felix Mendelssohn’s A Midsummer Night’s Dream (choreographed by George Balanchine), Leo Delibes’ Coppelia and Adolphe Adam’s Giselle.